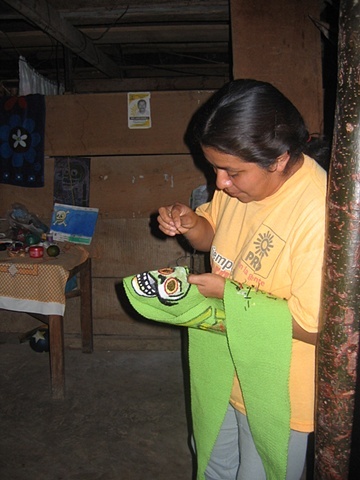 Hilaria Aparicio was my principal translator, collaborator, embroiderer, and good friend. Her friendship and trust were invaluable to me, in both the execution of this project and in my own journey to understand why I was in México, and what I was trying to accomplish. Her generosity and humor were great sources of encouragement. Here she is in her home embroidering the Karate Faja. She and her mother would have me over for dinner and treated me like family.